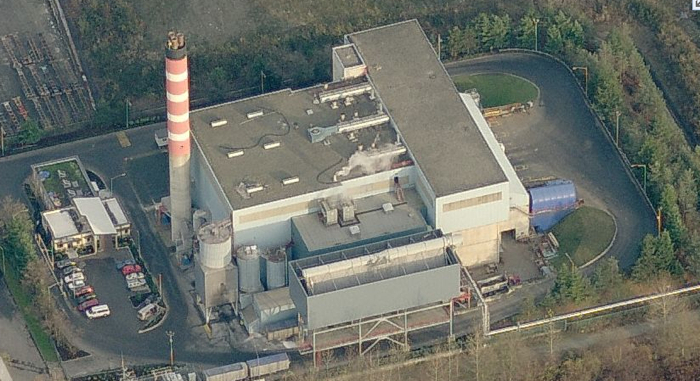 The Metro Vancouver Waste to Energy Facility Administration Building is a 4,500 ft2 office facility for an existing incinerator/power generation plant (operated by Covanta Burnaby Renewable Energy Inc). 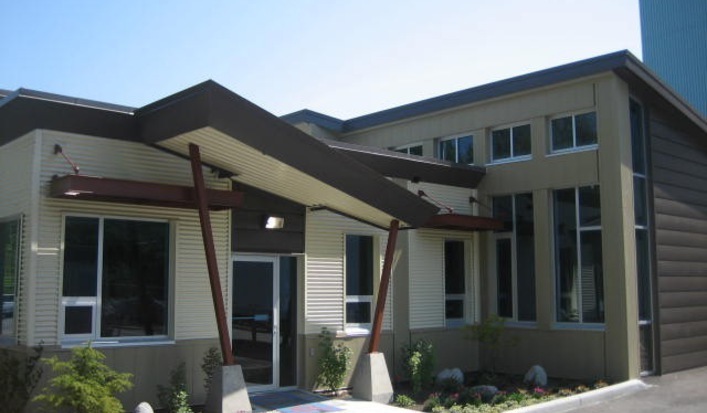 This building utilizes waste energy from the plant as well as municipal water for in-floor radiant heating and cooling of the interior, coupled with optimized thermal massing and external shading devices to control solar heat gains. The building is 100% naturally ventilated, taking advantage of wind-driven stack effects through automated windows. Rainwater harvesting has been incorporated with water efficient plumbing to completely eliminate potable water used for toilets. The planting of native drought-resistant plants also eliminated the need for an irrigation system. Photovoltaic panels installed on the roof of the building deliver 856 kilowatt hours of renewable energy every year, providing up to 10 per cent of the building’s energy requirements. In addition, the building’s impervious surfaces are shaded by trees and reflective materials are utilized to deflect sunlight, thereby reducing cooling requirements in the summer. 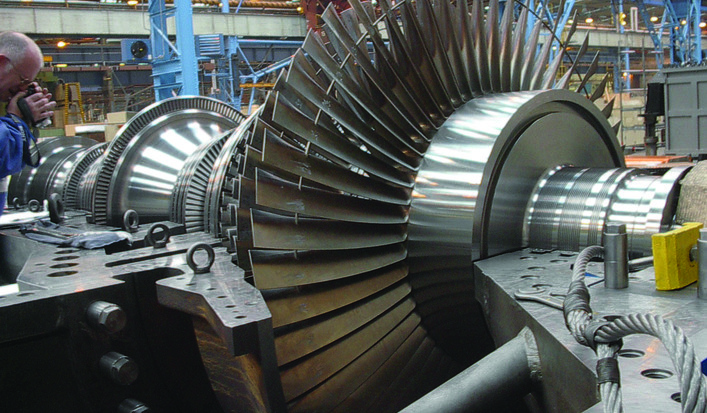 Due to these innovative energy reduction strategies, energy consumption savings of almost 63 per cent are achieved, which has cut energy costs in half. The construction of the building included a recycled materials content of eight per cent, as well as a construction waste management reduction of 98 per cent. Concrete with high recycled fly ash content was used in all floors and walls in the new addition. In addition, through the careful choice of building materials, almost 11 per cent of the building’s materials were regionally manufactured and extracted. This included large wooden beams extracted from a local warehouse being demolished. Care was also put into the choice of low-emitting materials including paints, carpets, and composite wood products that contain no added urea-formaldehyde. Individually controlled airflow, temperature, and lighting also provide for higher comfort and energy savings. Recollective played a key role in identifying sustainable design strategies as well as managing the LEED process, resulting in a LEED-NC Platinum certification.